the same advice applies to their life as well." 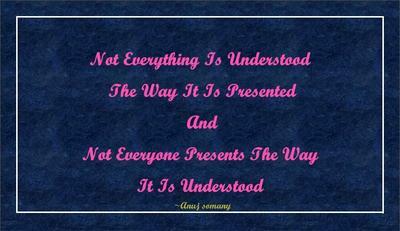 and not everyone presents the way it is understood." "Leadership is meant merely to be lead-by-example. Anything extra given to support the team result is just icing on the top." 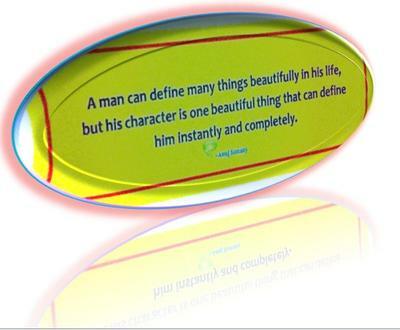 but by his nature of character solely." springing up the two completely different results. a man’s speaking of good words matches with his corresponding and timely action to benefit everyone." "The battery of flattery received and enjoyed as lottery by a man from the coterie just flattens his growth inconspicuously but consistently." is often near locus standing people saying all hocus-pocus." "The most challenging and difficult part in laying the right path come from the sandwiched people who walk astride between talents and duffers." when everything else just stays aways in his life." evidently inspires many with his intelligence and elegance." that can define him instantly and completely."